... fresh pomegranate juice. messy. tedious. but seriously delicious + gorgeous to look at. thanks to a friend who gave me a whole bunch from her backyard, now i'm hooked! 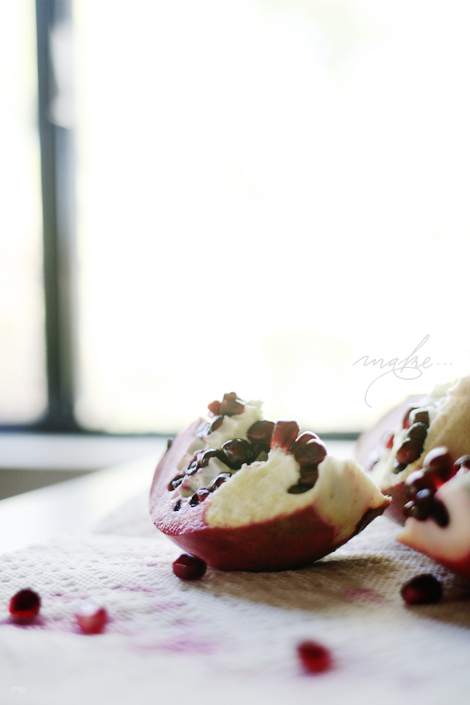 i LOVE pomegranate. i've been eating it all week!